Today, various industries analyze information from thousands of sources every day, even every minute, second, or milisecond depending on the industry. For hotels, we're not quite there yet, but we are on the way. 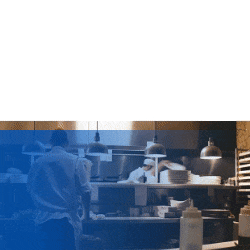 In fact, you may already be using real-time anaytics in your everyday hotel operations. If you're monitoring your social media channels, or local traffic or weather, you're doing real-time Big Data Analytics! The problem for hotels, is all of this information, from inside the hotel and from outside the hotel, from guests, your local economy, macro-economic events, and everything in between can be overwhelmingly confusing. How do you make sense of it all? And how do you do it in a way that is immediately practical and helpful? To answer those questions, we built this Types of Hotel Data chart. The data that hotels encounter on a regular basis come from many sources. The examples mentioned before – social media, local weather, and traffic – are examples of Big Data. For most hotels, Big Data often comes from external sources, where the amount of information must be selectively analyzed or pre-sorted. Hotels also gather information from internal sources, which, for simplicity's sake, we like to call Small Data. Small Data is data of a more manageable size, like occupancy data, TripAdvisor scores, and RevPAR. While Big Data often gets a lot of attention, it's the Small Data that hotels should aim to better understand first. This information can then be put into context within the Big Data out there. 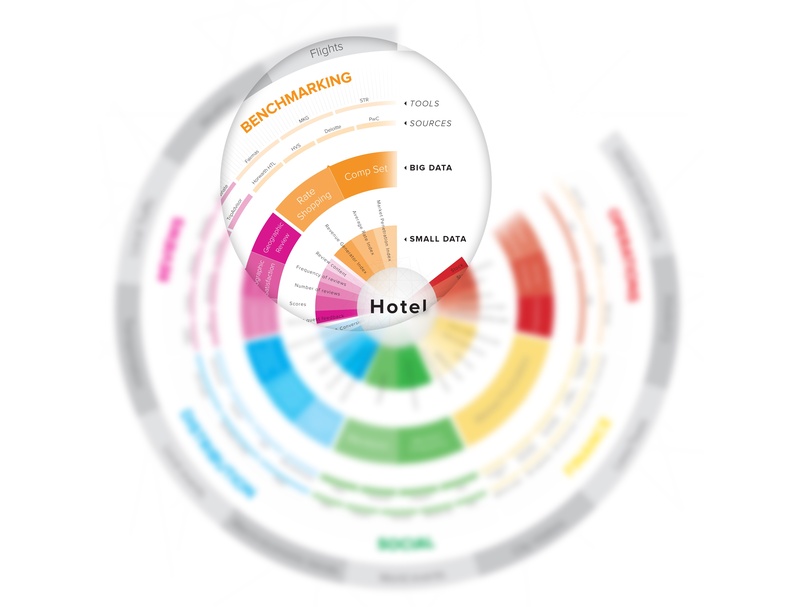 As we started working on this infographic, we realized that grouping data types into traditional hotel departments over-compartamentalizes it. In fact, in practice various hotel departments use each other's data every day. For instance, forecasting data** can be pulled from marketing (from social media and website stats) but is also used for financial purposes. This presented a powerful realization – that hotels are cooperative entities, where departments should collaborate towards shared goals – but also presented a challenge: How do we represent that visually? It became exceedingly apparent that we need to break down the silos between hotel departments. Even in the most striated, old school hotels, departments work together. All departments operate on the same core data and glean different viewpoints from that data. When we look at hotel I.T. and hotel data in that way, we can build pervasive, holistic systems that improve the overall hotel ecosystem. Operations, Finance, Social, Distribution, Reviews, and Benchmarking. These categories are not defined by traditional hotel departments but rather by their main uses. As departments share data and information across the hotel, we found it far more useful to organize the types of data hoteliers come across in this way. Each category has its own wedge, centered around the hotel– your hotel. As we move outward from the hotel, we first encounter Small Data: the immediate, often internally-generated data. This Small Data is the most familiar to hoteliers and often the most valuable. - Ex: Market Penetration Index, Average Rate Index, and Online review content. As we move to the next level, we find Big Data: data that is larger in size, usually from external sources or a blend of internal and external data. - Ex: Rate Shopping, Comp Set, and more. Outside the big data level are two rings: Sources, which provide the information in each category, and Tools, which are the common tools hoteliers use to interpret or utilize the respective data. - Ex: Traffic, weather, and flight data. 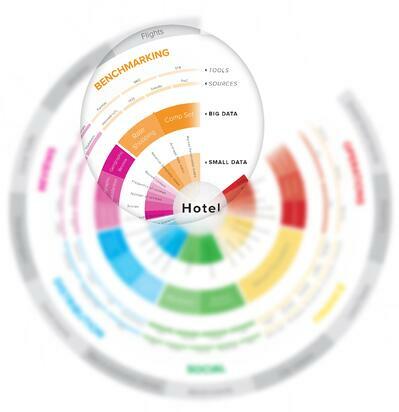 What you've seen above is just a small sampling of the Types of Hotel Data chart. To see the full thing in hi-resolution click the image below. * This is Version One of the Types of Hotel Data chart. If you have any comments, thoughts, additions, or fixes, lets us know and we'll take it into account in Version Two. ** Note that forecasting is made from the data presented and is therefore excluded from this chart.